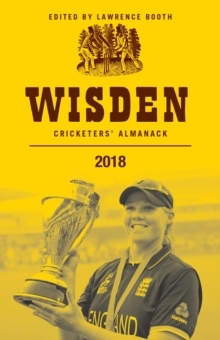 *Hardback edition*In this 155th edition of the Almanack, we celebrate England's spectacular win over India in the Women's Cricket World Cup. Anya Shrubsole helped to make history at Lord's and now she becomes the first woman to feature on the front cover of the Almanack. Among the feature articles, Simon Wilde reflects on the passage to England's 1,000th Test, Harry Pearson celebrates 50 years of overseas players in the county game, and Tanya Aldred examines sexism in cricket. Mike Selvey looks at the psychology of the new-ball partnership, while Zafar Ansari explains why he gave it all up at the age of 25.